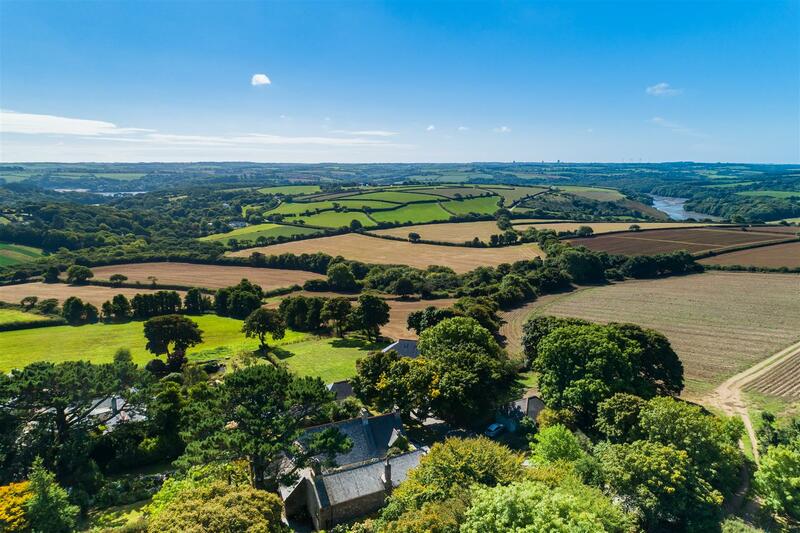 Beautiful country house nestling in rolling countryside just to the north of the Helford River, enjoying delightful views and within easy reach of the villages of Port Navas, Mawnan Smith, Gweek and Constantine. 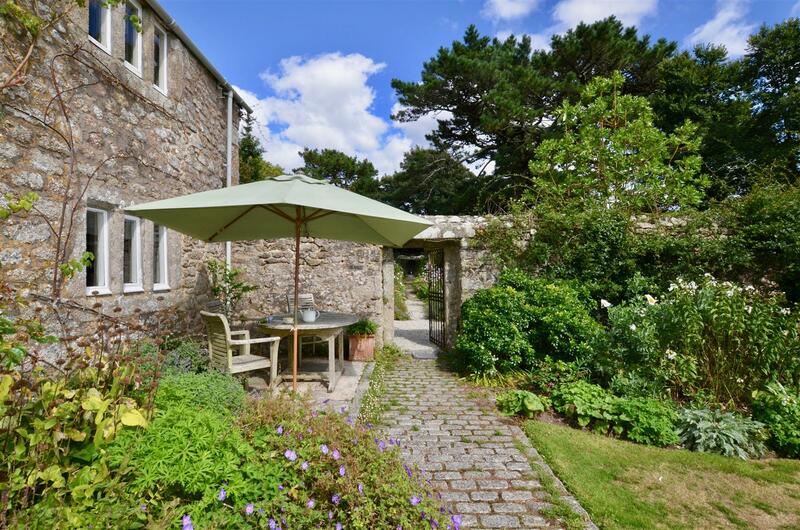 As you initially approach, the house gives very little away of what it has to offer, but as you walk through the iron entrance gate into the charming courtyard, some of its appeal and what is so special and unusual about this property begins to show itself. 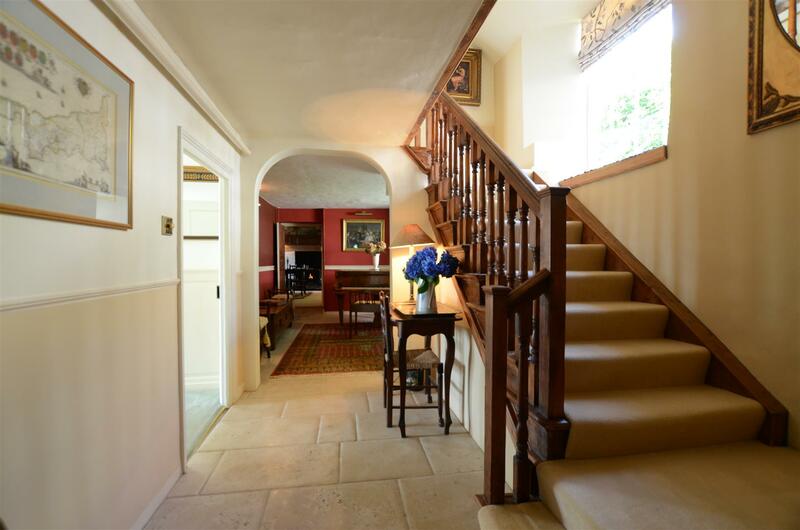 An entrance hallway welcomes you and also creates the link from the kitchen and the reception room area of the house. 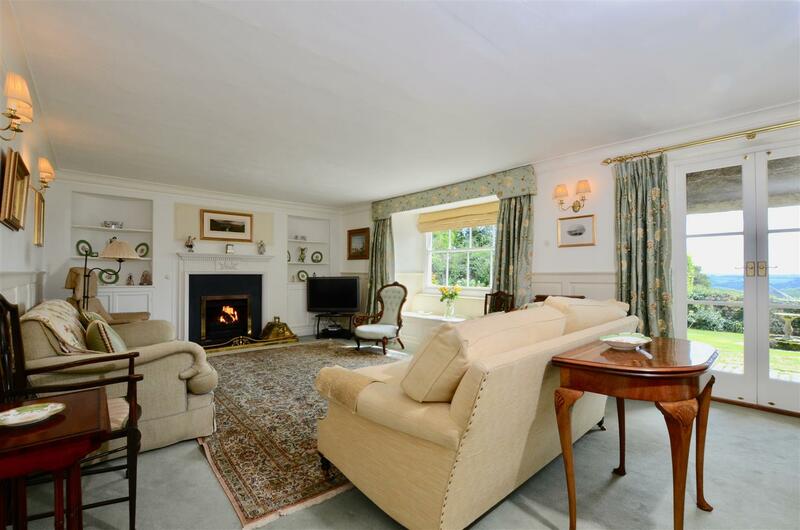 The 29’ kitchen is an impressive and spacious room with Aga, beautiful old stone flooring and fireplace, southerly windows and access to the garden - all combining to provide an ideal space as a true family living room. 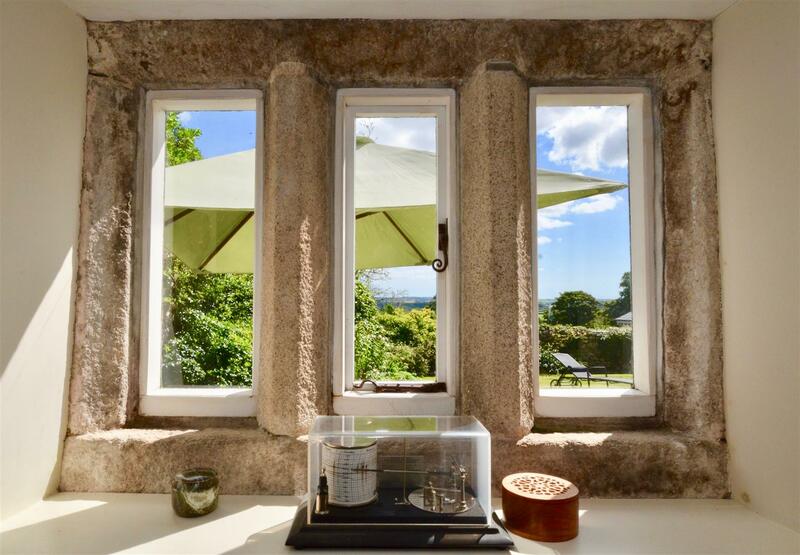 The adjoining utility room is very spacious and has a second staircase to the first floor, which combined with the bedroom and bathroom above, could offer the opportunity of separate accommodation for guests or relatives as it also has an outside access door. 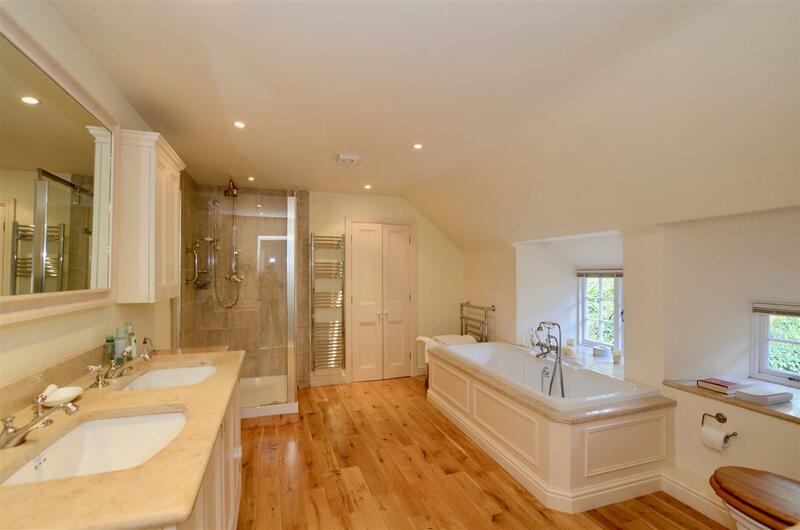 as well as the broad principal staircase. 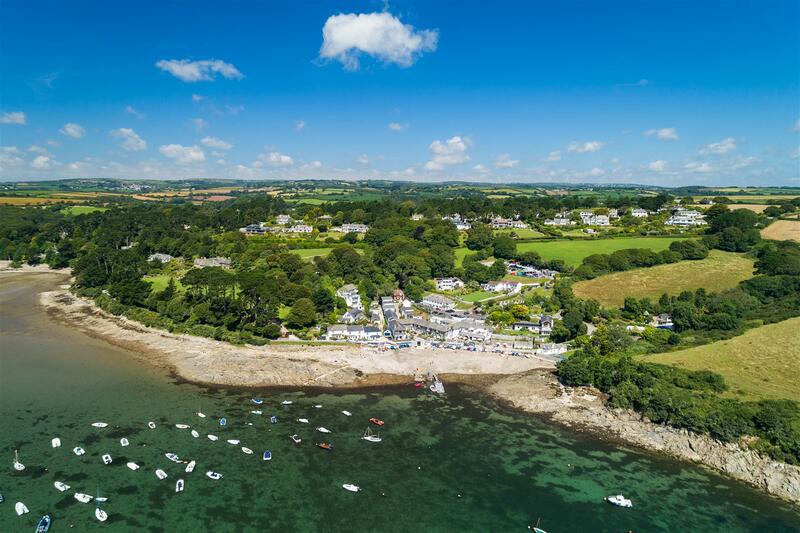 The 34’ drawing room provides a wonderful vantage point to enjoy the southerly views out over the stunning walled front gardens and beyond towards the banks of the Helford River. 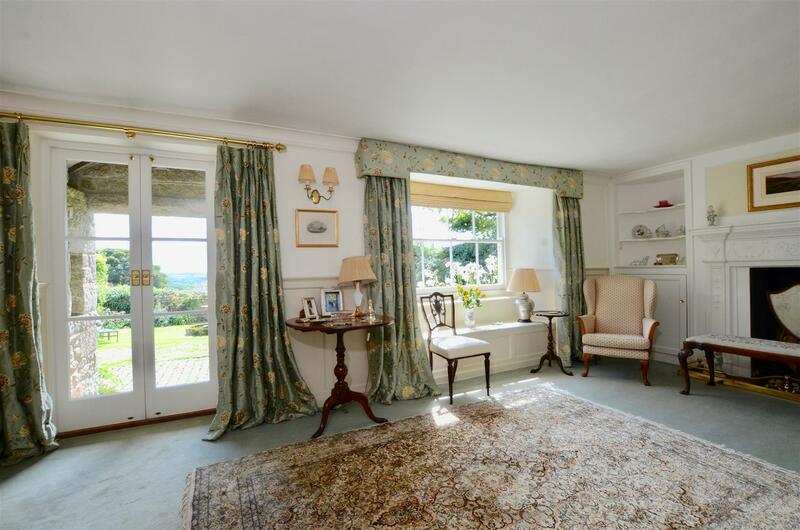 The cosy study/TV room has an open fireplace and views over the Lizard peninsular with views to the garden through French doors. 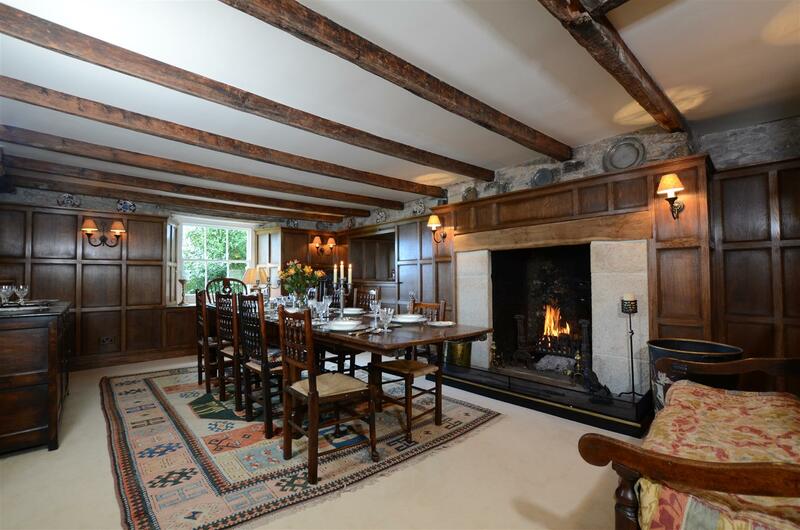 The triple aspect dining room with its oak panelled walls and open fireplace creates a most beautiful atmosphere for entertaining. 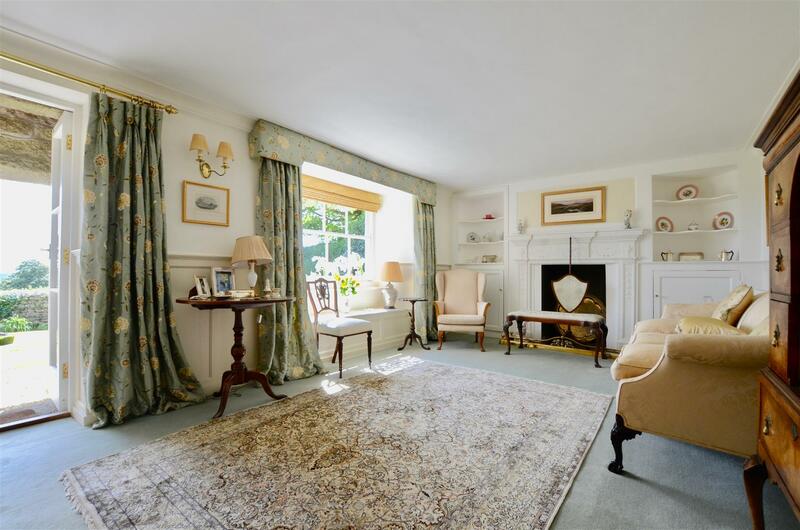 A large open staircase leads to a galleried landing and 6 bedrooms in total. 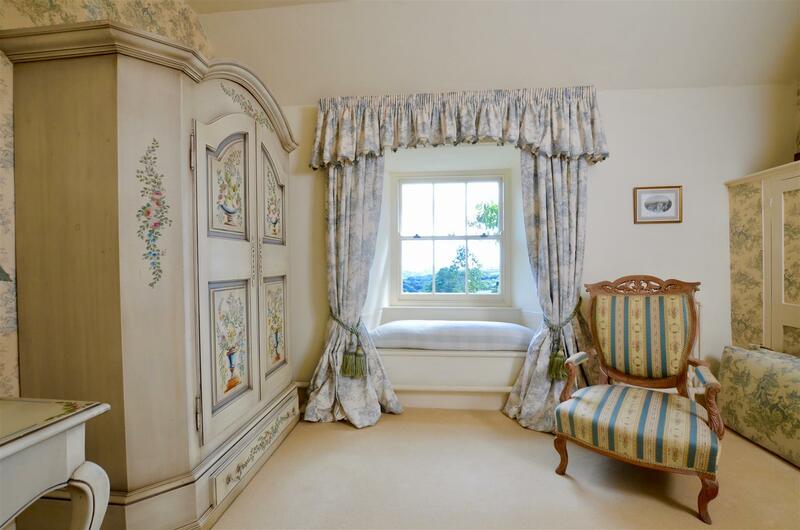 The master suite offers a large, beautiful space with its generous dressing room and en suite bathroom. 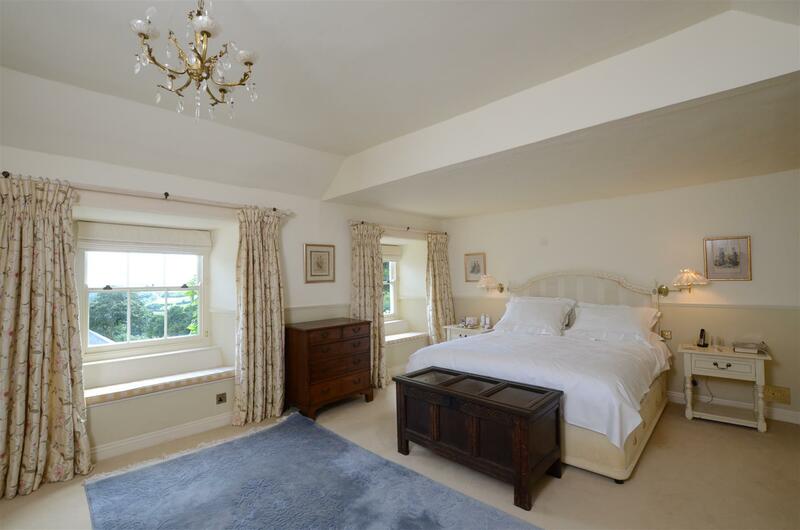 The guest bedroom is also en suite and the 4 remaining bedrooms are beautifully presented and serviced by 2 bathrooms. 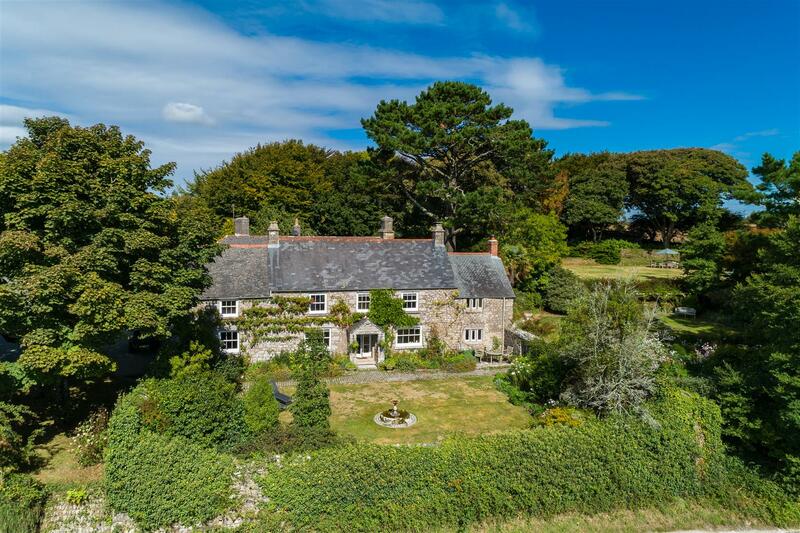 The gardens and grounds are a joy to behold with a southerly facing cobbled terrace and a broad lawn with views towards the Helford River in the distance. 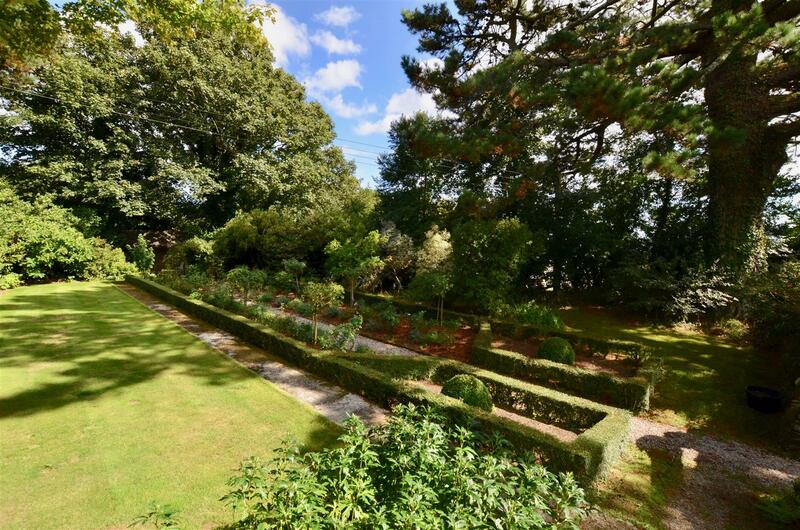 The grounds are beautifully planted and set out in a variety of broad terraces including a croquet lawn. 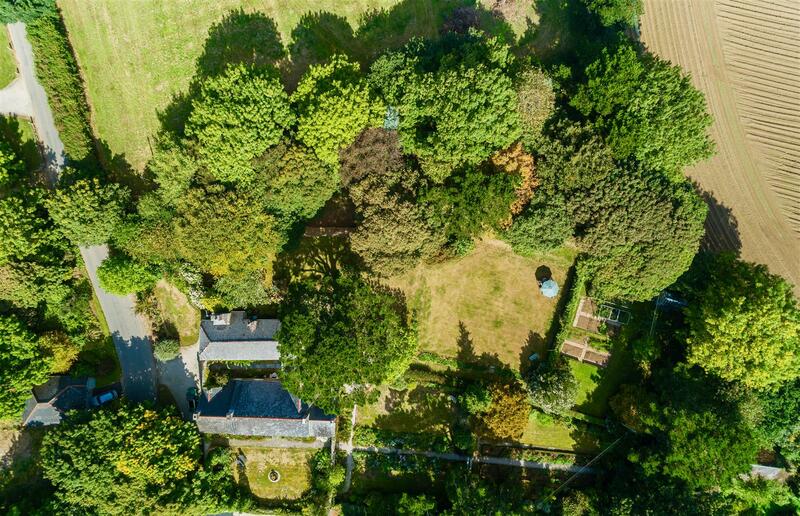 An adjoining 1.5 acre paddock is ideal for a pony. 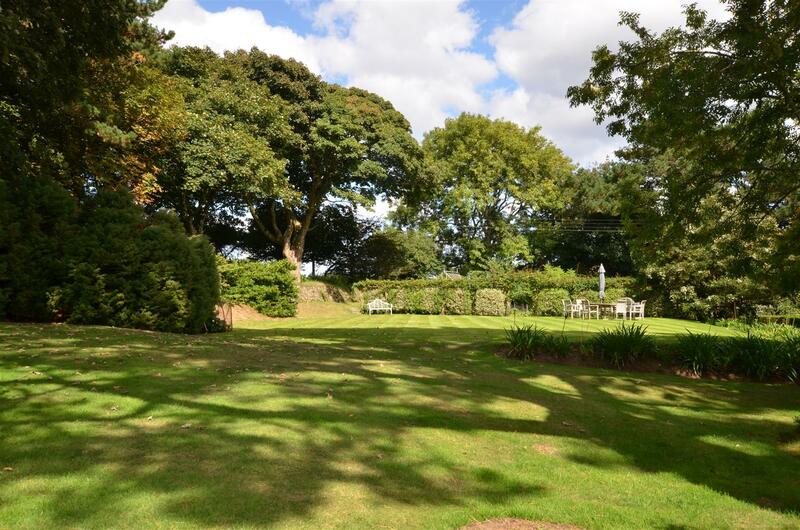 Between the gardens and the paddock lies a picturesque copse with mature trees, a workshop and storage shed. 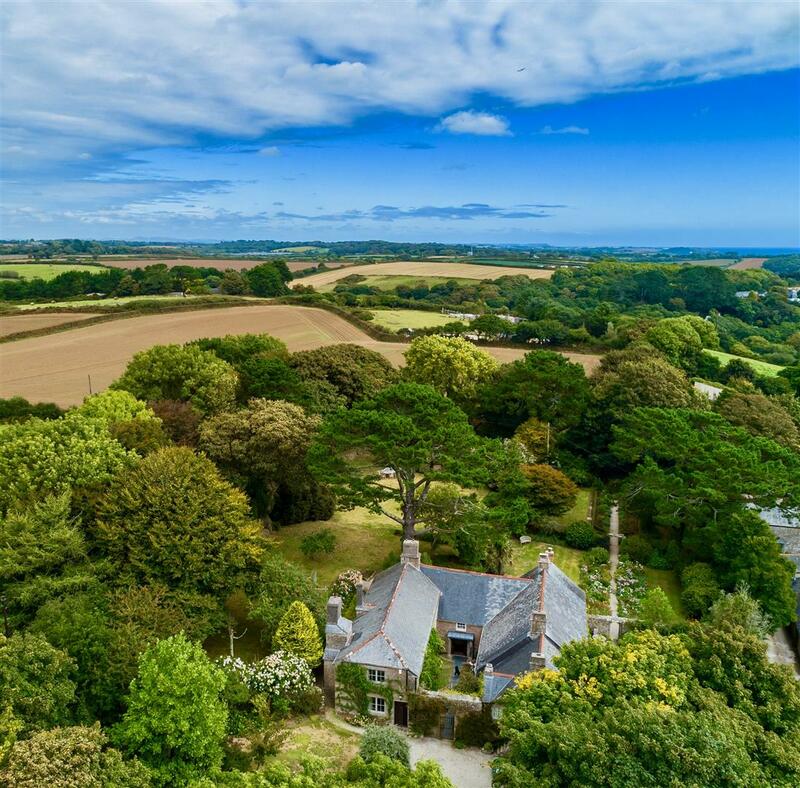 The garage with its attached Bothy is set opposite the property with an adjoining small paddock and views to the Helford River in the distance. 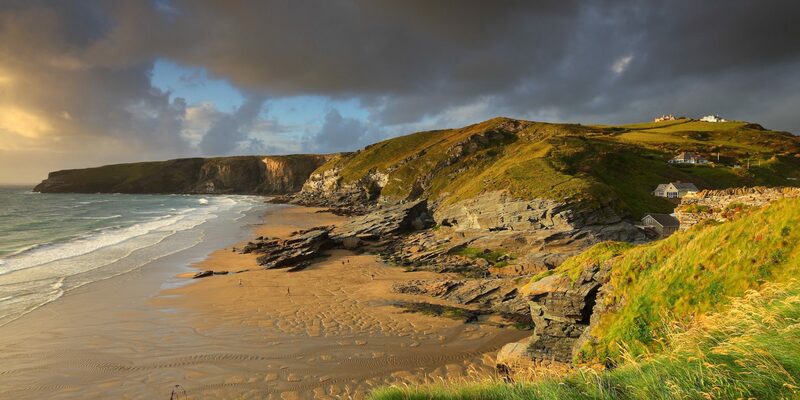 It may also provide a possible opportunity to build, subject to the usual consents and planning permissions. 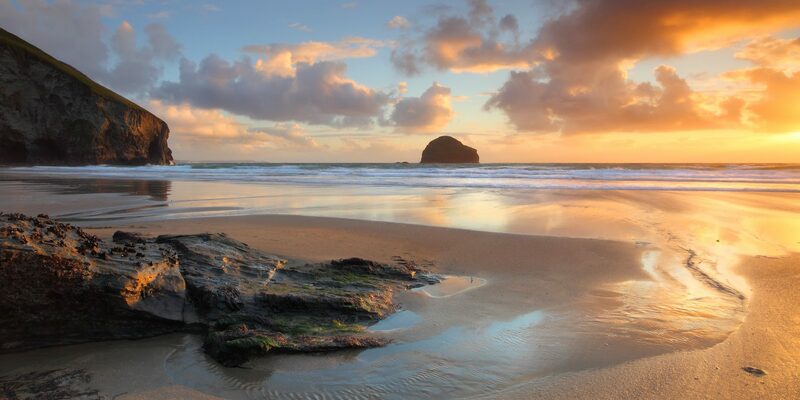 The nearby village of Constantine offers a wide range of local facilities with a number of shops and pubs, including a renowned wine merchant and the Trengilly Wartha Inn. 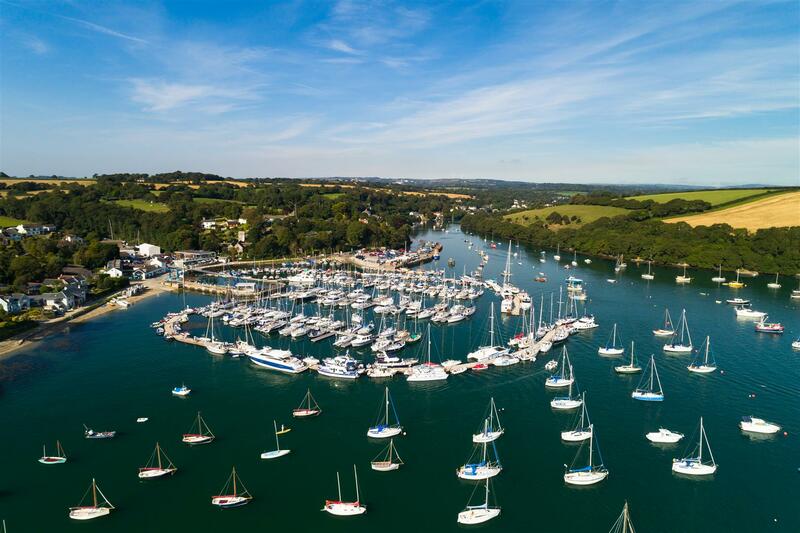 Port Navas has an excellent yacht club and restaurant, providing great access to enjoy the magical waters of the Helford River made famous by Daphne Du Maurier and her novel Frenchmans Creek. 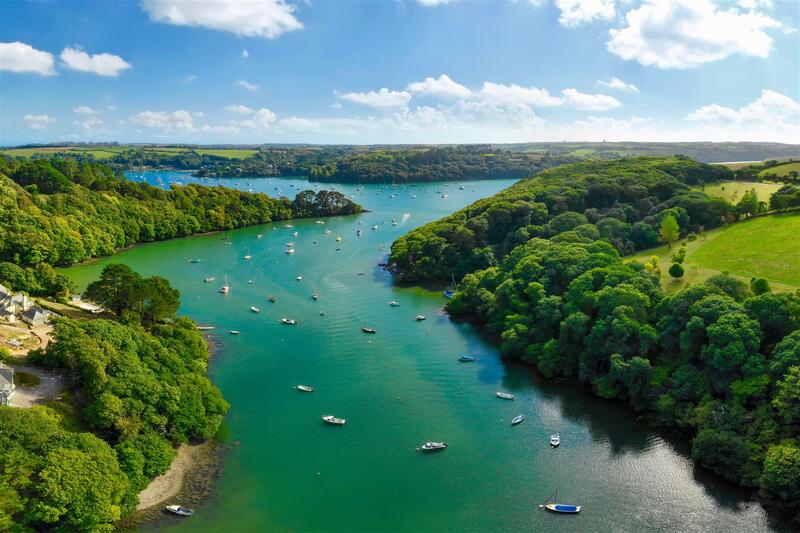 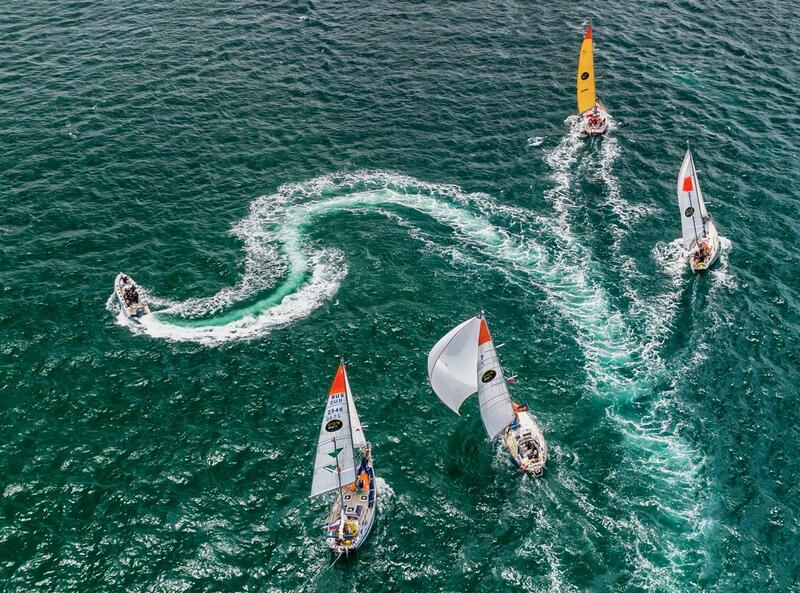 This area has some of the best sailing waters in the country with the Helford River providing access out into the waters of the magnificent Falmouth Bay and boasts many active clubs. 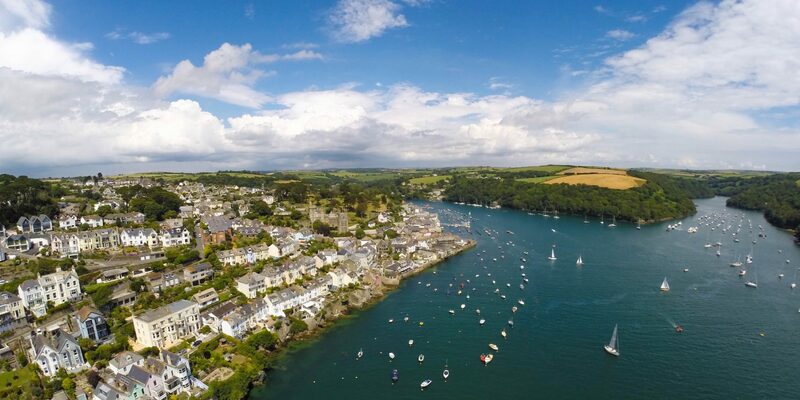 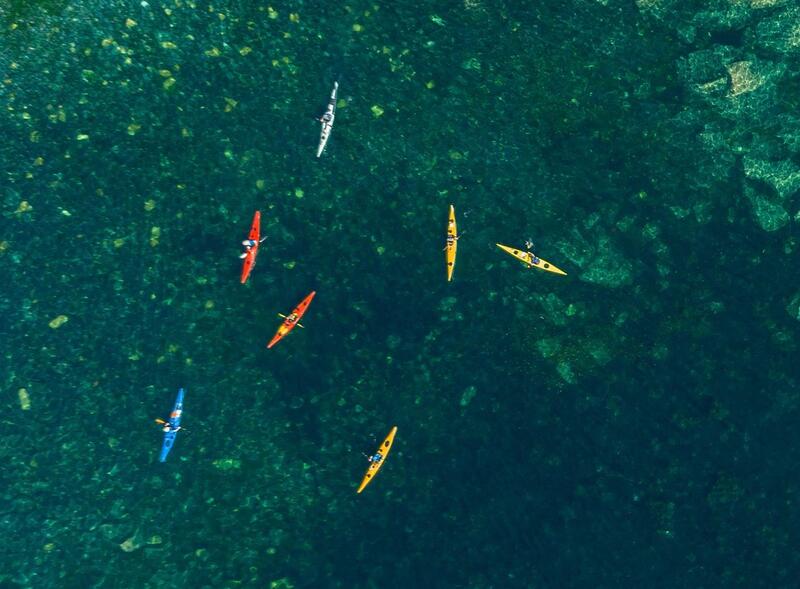 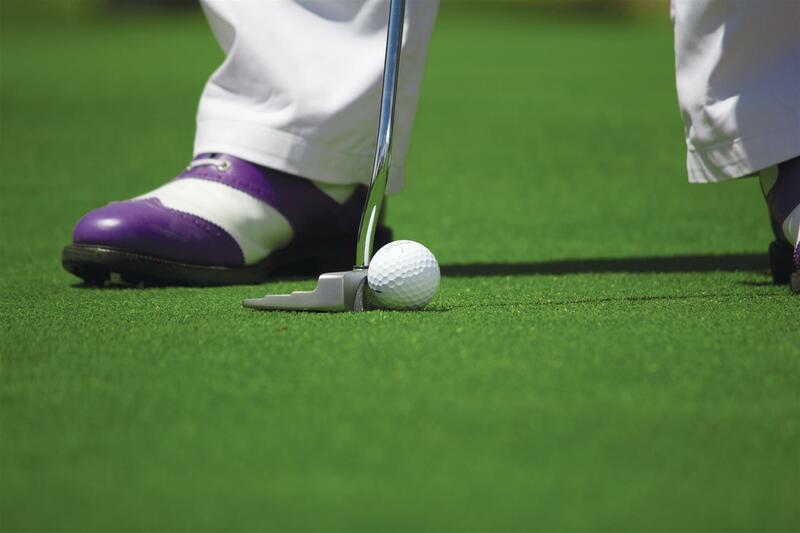 The village itself offers a great range of excellent water and outdoor lifestyle activities. 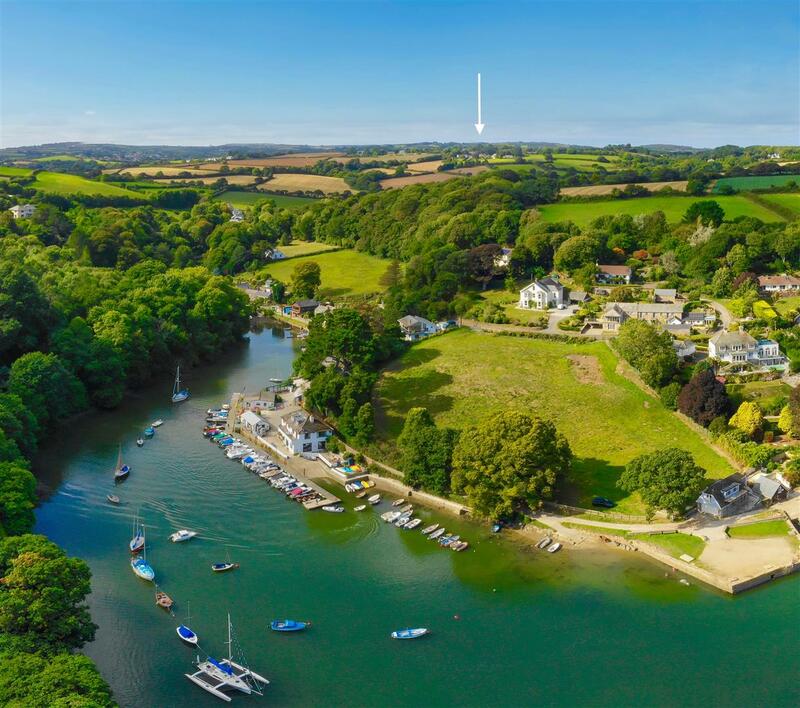 The Budock Vean Hotel is also within easy distance and offers excellent facilities including tennis courts, golf course, spa and a popular restaurant but is also a social hub for the area.